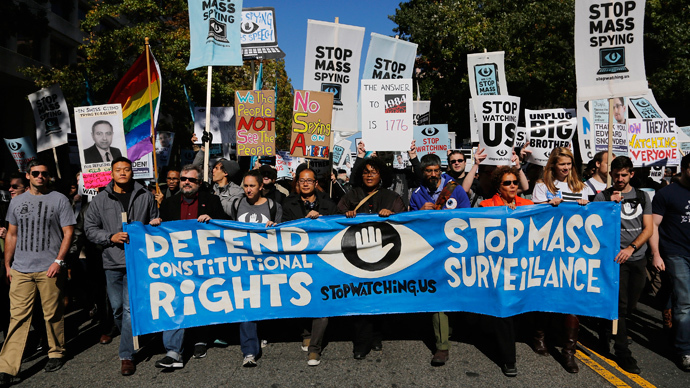 Twelve years after Americans were stripped of their rights in the name of fighting terrorism, thousands have gathered in Washington DC to protest unconstitutional NSA spying programs revealed by Edward Snowden, and call for repeal of the Patriot Act. United under a banner reading “Thank You Snowden” thousands lined the Capitol to hear a statement by former NSA contractor read out. “Today, no telephone in America makes a call without leaving a record with the NSA. Today, no Internet transaction enters or leaves America without passing through the NSA’s hands. Our representatives in Congress tell us this is not surveillance. 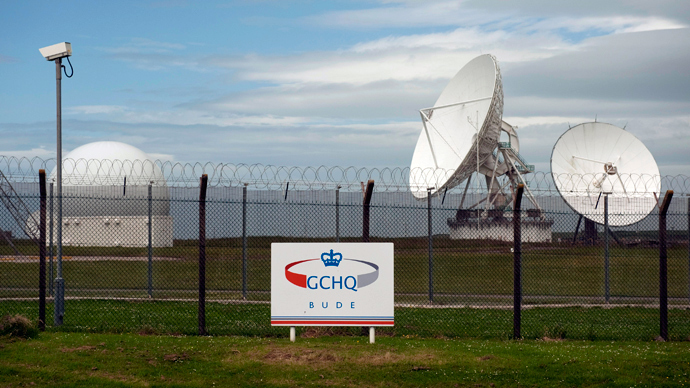 They’re wrong,” Snowden said in a statement read out by Former US Department of Justice ethics adviser, Jesselyn Radack. 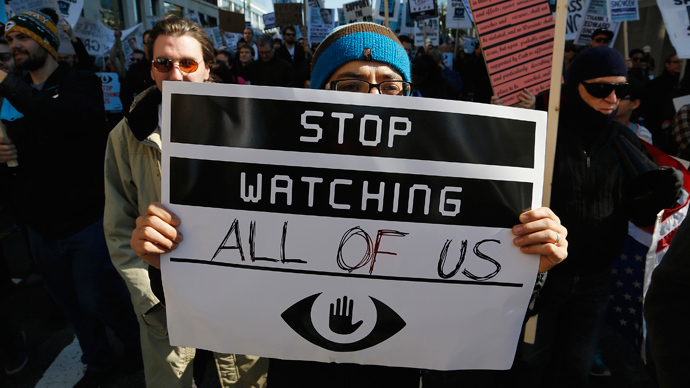 “This is about the unconstitutional, unethical, and immoral actions of the modern-day surveillance state and how we all must work together to remind government to stop them. It’s about our right to know, to associate freely, and to live in an open society,” Snowden said. Twelve large boxes of 575,000 petition signatures were shown to the crowd at the foot of the US Capitol. Glenn Greenwald, the journalist who worked with Edward Snowden to expose many of the NSA’s surveillance procedures attended the rally. “It is very important that people speak out, take action, march, rally demonstrate against these practices of the government,” anti-war activist Richard Becker told RT. “What can really bring a change is the actions of the people,” he said, stressing that “none of the progressive changes” in the history of the US have ever been “originated inside the Congress or in the White House”. Congressional representative Justin Amash told the crowd that bringing his anti-NSA bill in July to Congress was his proudest moment as an elected official. Former politicians Representative Dennis Kucinich of Ohio and former New Mexico Governor Gary Johnson also attended the anti-NSA protest. "The government has granted itself power that it does not have," said Johnson. "We have to stand against this." “Our own government has become a threat to freedom, at home and abroad,” said former Congressman, Dennis Kucinich. Whistleblower Thomas Drake in addressing the crowd said that he was fortunate not end up in prison. “The last thing a free and open society needs is a digital fence around us,” Drake said. He called for the restoration of the Fourth Amendment and said that NSA surveillance "engenders fear and erodes our freedom." Two days before the march the US Department of Defense published a YouTube interview with NSA Director and CYCOM Commander General Keith Alexander trying to justify the agency's programs. So far less than 2 percent of viewers agree with Alexander’s reasoning for the need for total surveillance and spying on own citizens to protect national security. 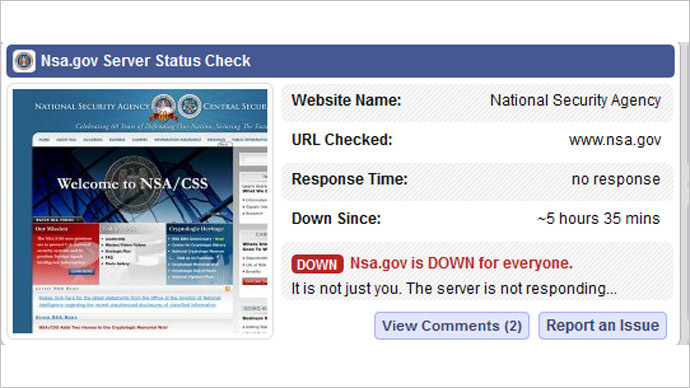 A day after the release, the website for the US National Security Agency suddenly went offline in what some claimed was an Anonymous DDoS attack. Twelve hours later the NSA however said it was due to a technical problem during a routine software update, denying it was under attack. 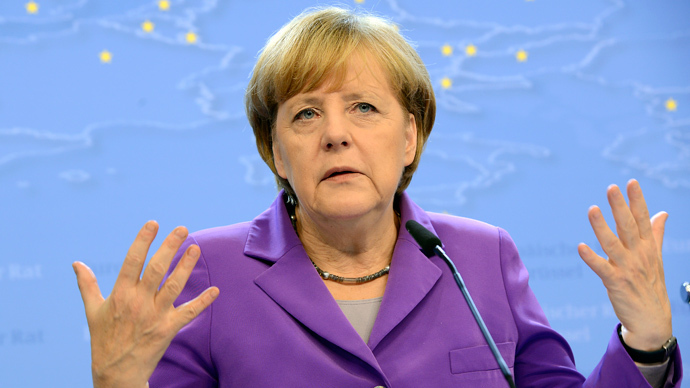 The Edward Snowden leaks have exposed that NSA not only spied on public records but also on data mined from personal communications of world leaders, including Latin American presidents and European leaders - even those who are considered to be US allies, like German Chancellor Angela Merkel who was on NSA spy list since 2002, according to latest revelations. 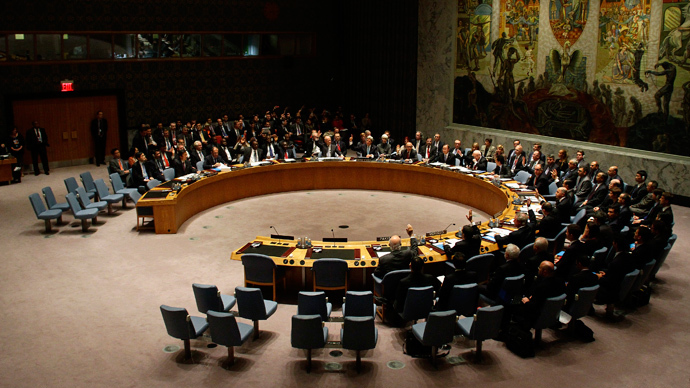 The Stop Watching Us rally comes as twenty-one countries, including US allies France and Mexico, have joined talks to hammer out a UN resolution that would condemn “indiscriminate” and “extra-territorial” surveillance, and ensure “independent oversight” of electronic monitoring. Other countries involved in the talks reportedly include Argentina, Austria, Bolivia, Cuba, Ecuador, Guyana, Hungary, India, Indonesia, Liechtenstein, Norway, Paraguay, South Africa, Sweden, Switzerland, Uruguay and Venezuela.